Sonos price rises are on the way | What Hi-Fi? Sonos is the latest company to blame the fall in the pound against the dollar for its decision to raise its prices in the UK. Whatever the pros and cons of Brexit, one thing is undeniable: the drop in the pound against the US dollar has led many companies, which tend to pay for goods in dollars, to raise their prices in the UK to offset the drop in the exchange rate. So, from 23rd February, if you want to buy any Sonos product you'll have to pay more. In a statement on its website Sonos says: “Our prices are defined regionally. In the UK, this includes local taxation and import duties, but we pay for everything we make in US dollars. 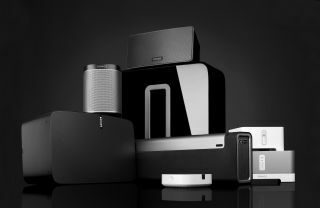 Sonos is not alone in raising its prices: Apple has announced it will increase the cost of apps in the App Store and has already introduced significant price rises on its hardware.